Chattanooga's Electric Power Board has automatically upgraded connection speeds for customers at no charge each of the past four years. "It's really altered how we think of ourselves as a city," said Chattanooga Mayor Andy Berke. "We're a midsized, southern city -- for us to be at the front of the technological curve rather than at the tail end is a real achievement." Since there's little competition in the broadband industry, some industry experts believe that there's little incentive for broadband providers to dramatically beef up their bandwidth and drastically improve their infrastructure. 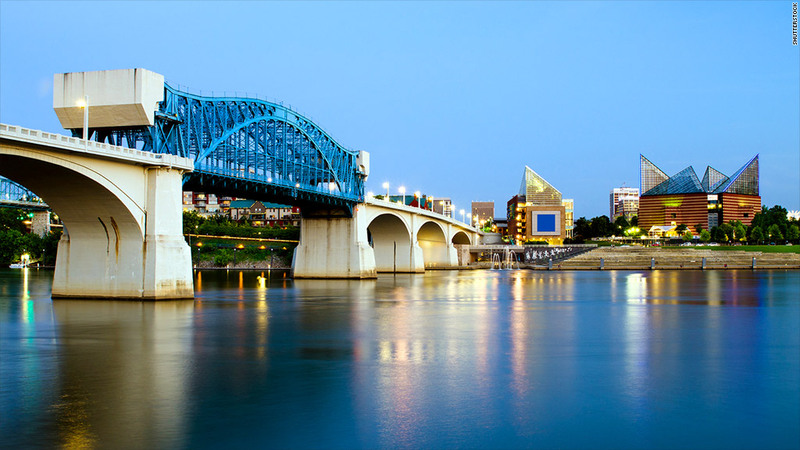 Chattanooga's project started in 2008 with the goal of building a "smart" power grid for the city, capable of rerouting electricity on the fly to prevent outages in addition to carrying Internet traffic. "It just didn't look like the private sector was going to bring true, high-speed connectivity to this market," EPB spokeswoman Danna Bailey said. The city had to contend with lawsuits from Comcast and local cable operators as it worked to get the network up and running. But aided by an $111 million stimulus grant from the Department of Energy, the service was up and running by September 2009. The EPB currently has around 5,000 business customers along with 57,540 households, which have access to "triple play" bundles of video, phone and Internet service just like they would from a private provider. "Deploying a network for telecommunications is not fundamentally different from deploying a network for power," said Benoit Felten, a broadband expert with Diffraction Analysis. "Chattanooga is the prime example of that, and it's absolutely worked." The Federal Communications Commission recognizes the potential of muncipality-run broadband, saying earlier this year that it will push for the repeal of state and local laws supported by the cable industry that make it harder for cities to set up their own networks. Related: Netflix blasts Internet providers, saying consumers "deserve better"
Chattanooga officials say the network has helped spark a burgeoning local tech scene and the relocation of a number of businesses, drawn by both the fast Internet and the reliability offered by the smart grid. Hunter Lindsay, regional director of IT services firm Claris Networks, said the 85-person company moved its data-center operations from Knoxville to Chattanooga "just because of the network." "It's logical for every city to do it, but that doesn't mean it's going to happen," Lindsay said. Berke said Chattanooga regularly receives inquiries from other cities both in the U.S. and internationally that are interested in setting up their own networks. The city recently set up a task force to figure out how to bring the network to poorer families and make sure the community gains the maximum benefit. "People understand that high-speed Internet access is quickly becoming a national infrastructure issue just like the highways were in the 1950s," Berke said. "If the private sector is unable to provide that kind of bandwidth because of the steep infrastructure investment, then just like highways in the 1950s, the government has to consider providing that support."